Want to monitor and send Hellschreiber (Feld Hell) transissions, without using a bulky computer? 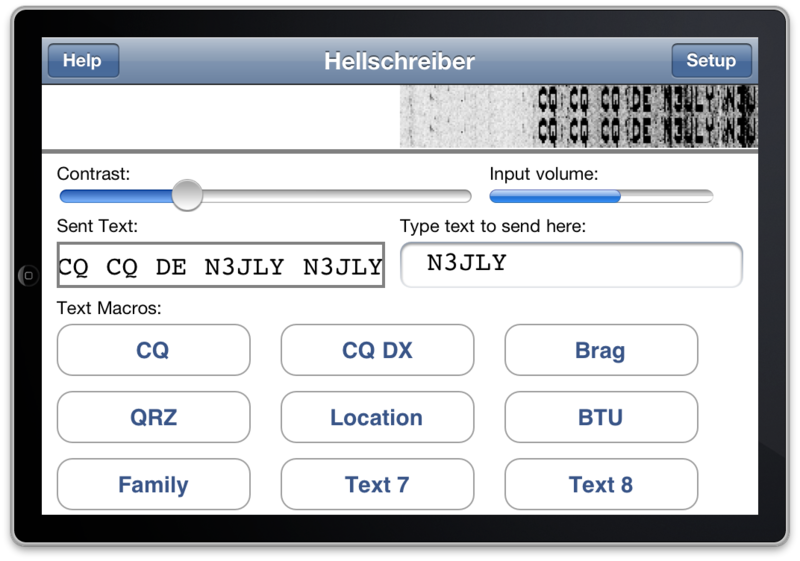 Hellschreiber lets you decode Feld Hell transmissions on your iPhone iPad, and iPod Touch. Just set your iPhone or iPad near a radio, tune in a transmission, and view the decoded text. 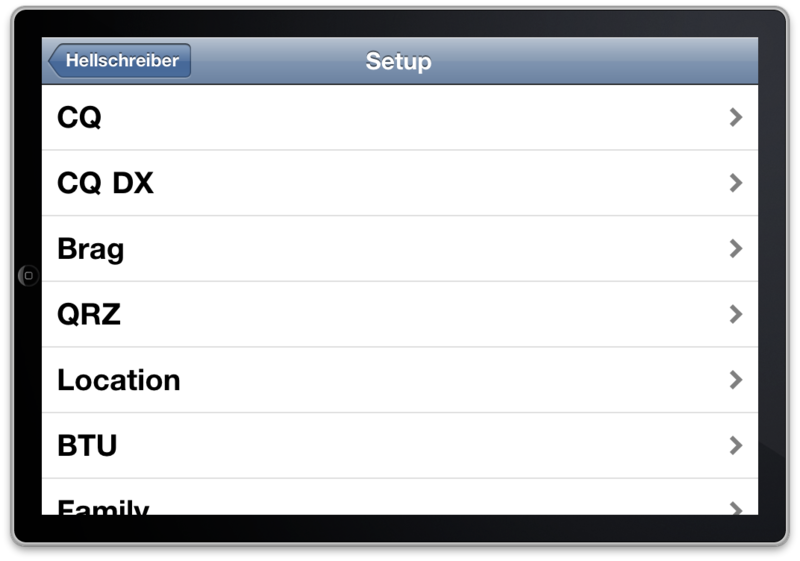 The slider lets you adjust the contrast of the received text. There is also a volume indicator. You can also send Feld Hell transmissions as well! Just type in the text, and it is automatically sent. You can connect the audio output from the headphone jack to your transcewiver with your own cable. Buy your copy of Hellschreiber right now, and start decoding and displaying Feld hell transmissions in minutes. 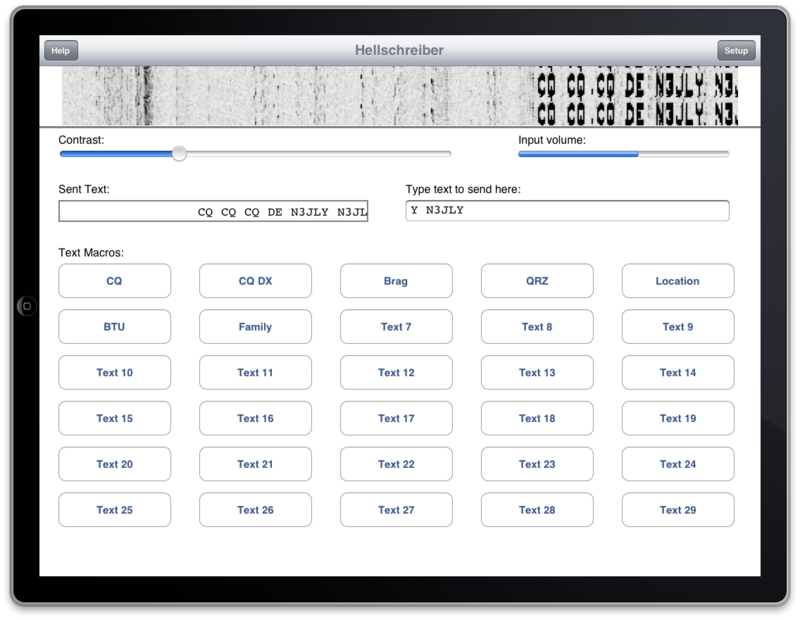 Visit the Hellschreiber FAQ page for full details on how to use the app.